Bentleigh travelled to Olympic Village in Heidelberg on Saturday night hoping to atone their 3-0 defeat at the hands of Altona Magic the week before. On 8 minutes Bentleigh’s script went out the window when Sean Ellis lashed home for the hosts after a corner wasn’t cleared. The ball fell straight into his path and flashed past Ryan Scott and into his top corner. 18 minutes later and the Bergers had 2 when Harry Noon smacked his shot past Ryan Scott from the right-hand side of the box. Heidelberg went into the break 2 to the good. The 2nd half started with Harry Noon collecting his 2nd yellow after some push and shove with Tyson Holmes on the half way line. 5 minutes later and Arnold Suew had a golden opportunity to equalise however he couldn’t direct Velibor Mitrovic’s cross on target. The greens kept pushing the issue for the remainder of the affair however could not break down the Bergers backline. 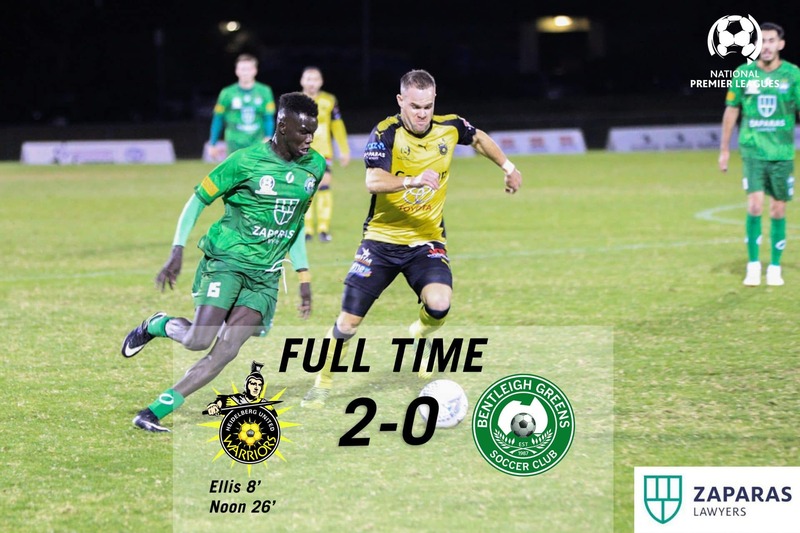 The game finishing 2-0 with the Greens hoping to get some momentum under their belts when they take on Warragul United in an FFA Cup qualifier next Saturday and then Kingston City the following Monday night at the Grange Reserve in NPL action.